Looking to sell your house in Riverside, CA? Even with the state of Riverside's real estate market, selling on the traditional market can be a problem for some sellers. The traditional market isn’t always the best option for sellers. Every homeowner is dealing with a unique situation that leads them to sell, and every property comes with a different set of circumstances. If attempting to sell your home has been difficult for you, it may be time to start exploring alternative solutions. Those solutions are what we do best, and we’re able to purchase houses that are affected by nearly anything. Our company has a wealth of experience purchasing properties in Riverside county for various reasons, and we pride ourselves on our ability to safely and quickly purchase properties with cash. Whether you’ve attempted to sell your home another way and found the process frustrating, or you don’t have time to pursue the traditional real estate market, we’re interested in purchasing your unwanted Riverside home. 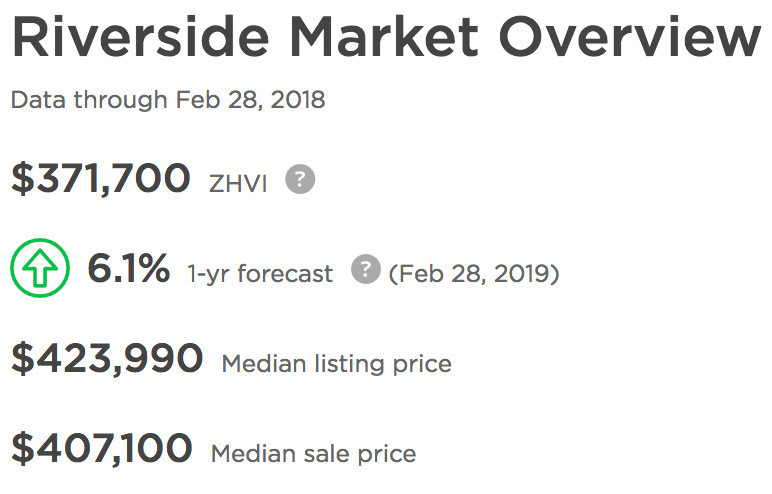 The Riverside real estate market is unique in its neutrality. It doesn’t favor buyers or sellers. It’s anybody’s game, and whatever happens just happens. For sellers who're unable to take a casual approach to selling their house, this laid back environment isn’t helpful. Buyers are coming, but they have a lot to choose from. Buyers don’t feel the same rush that sellers do, and this means wait times can be much longer than anticipated. Home value averages are upwards of $370,000. The Alessandro Heights neighborhood sees value averages of over $700,000, and the more affordably priced homes in the Casablanca neighborhood are still selling for nearly $270,000. Negative equity is below the national average, as are delinquent mortgages. On the surface, everything appears to be great. Time is the biggest obstacle facing Riverside sellers. A lot of people have plans to purchase a new home in a new area. Other people inherited properties that they can’t afford to keep up with or don’t want to responsibility of managing. Some people need to sell their homes quickly to handle debts or help their aging parents downsize. When getting your home sold is a crucial part of accomplishing a larger goal, you don’t want to leisurely wait for the right buyer to come along, especially if it's an older home that you're trying to get rid of. Since Riverside is such a neutral real estate market, a lot of sellers try hard to compete. Often over-extending themselves with no real return in the end. They want their property to stand out from the rest of the homes in the area, and making those distinctions is usually expensive. Outside of the normal repairs and maintenance necessary to make the home desirable to buyers (such as replacing old roofs or cracked windows), sellers will often spend tens of thousands of dollars on renovations. Since buyers who are looking for an ideal home pay close attention to areas like kitchens and bathrooms, it’s not uncommon for sellers to spend a fortune on new flooring, countertops, tile, and lighting fixtures in these areas. In larger homes, usually located in upscale neighborhoods, the cost of replacing things gets substantially more expensive with each square foot. Perhaps the worst part of these investments is that many sellers don’t see that money back. Many renovations don’t do anything to improve the value of the home, or justify the seller’s desire to ask more for the property after they’ve sunk so much money into it. Even though a buyer might want to buy the property based on the renovations, the seller often winds up losing money on the deal. Investors don’t particularly care about the condition of your property, how out of date it may be, what your situation is, or the area in which it’s located. Many homeowners in Riverside county are seeking a way to sell without investing a lot of time or money. That’s why they turn to investors like us. There is absolutely no money and hardly any time involved in the process. It’s a guaranteed sale that only requires minimal cooperation, and it’s over with in the blink of an eye. Selling to an investor is reliable, safe, and has virtually no room for error. Many things can go wrong during a traditional sale. The buyer might request an inspection that uncovers issues they weren’t previously aware of, reducing their offer or changing their mind in response. They might not get approved for the home loan necessary to purchase your property, sending you back to the beginning of the process to find a new buyer. These are not concerns you would have when working with investors like us. 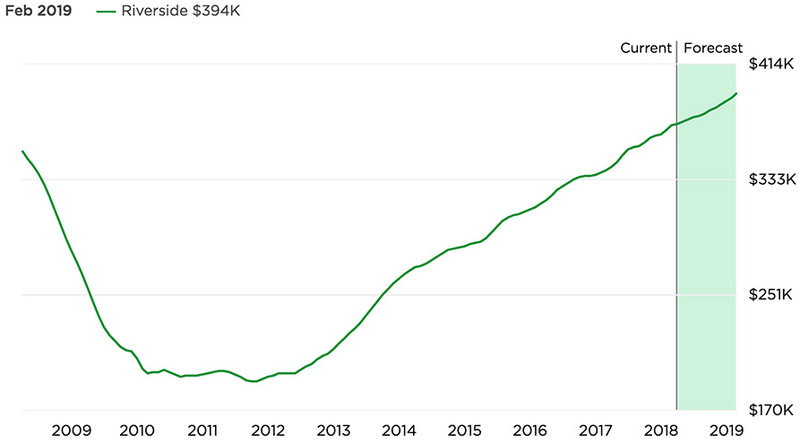 We pay for homes in cash. When we make you an offer, it’s an offer we’re immediately able to fulfill. We don’t need to secure funding through a third party, so nothing can fall through at the last moment. This allows us to close quickly, sometimes within a week of offer acceptance. We’re ready to go as soon as you are, and we can expedite the process to accommodate special circumstances like foreclosure. If your house is in poor condition, we’ll still be willing to purchase it. We’ll simply prepare an offer that reflects the amount of damage to the property, and we’ll repair it ourselves. We’ll never ask you to fix anything or spend money preparing the property for us. We’re always giving you money – we’re never taking any away. Many things can go wrong during an inspection. When selling to an investor, the home is guaranteed to sell. We've helped hundreds of home owners in Riverside county safely and quickly sell their homes and walk away from them with cash in hand. We’re ready to prepare an offer for your Riverside county house. You can request a cash offer with our form, or you can call us directly at 951-228-0167. We only need a little bit of information to make a fair offer on your unwanted Riverside property. We aren’t worried about the condition of the property, and we’re familiar with the probate and inheritance process. We can help in a wide variety of situations.